On August 30th, Andy Roddick announced that he would retire after the U.S. Open. “I just feel like it’s time. I don’t know that I’m healthy enough or committed enough to go another year,” he said. “I’ve always wanted to, in a perfect world, finish at this event.” Roddick then faced Bernard Tomic in his second round match and won 6-3, 6-4, 6-0. In the third round, Roddick faced Fabio Fognini and won 7-5, 7-6, 4-6, 6-4. In his Round of 16 match today, Juan Martin Del Potro beat Roddick in the final match of his career 6-7, 7-6, 6-2, 6-4. Right before Roddick’s match against Tomic, he said, “I think I wanted an opportunity to say goodbye to people, as well. I don’t know how tomorrow’s going to go, and I hope it goes well, and I’m sticking around.” Roddick has been the best American tennis player in the past decade, so many fans must have appreciated his desire to say goodbye at the U.S. Open. After Roddick’s announcement of his retirement, he claimed that he also received so much support from fans all over the world. This support must have pushed him through the next couple rounds, because for the rest of his matches, Arthur Ashe Stadium was packed with fans wanting to witness Roddick play at this last tournament. With all this support, Roddick hadn’t shown too much emotion in his matches over his decision to retire. He appeared to remain focused, and, frankly, he was playing great tennis so he didn’t have to think about retirement yet. Overall, Andy Roddick had an incredible career. He made U.S. tennis relevant again, he became a leader amongst the American tennis players, he provided humor in his matches and his press conferences, and he consistently displayed exceptional class and respect for the game. He will be missed immensely in the game of tennis for many years to come. Roddick might not have always been the best player in the world, but he was certainly one of the most fun to watch. Congratulations to Andy Roddick on a fantastic career! 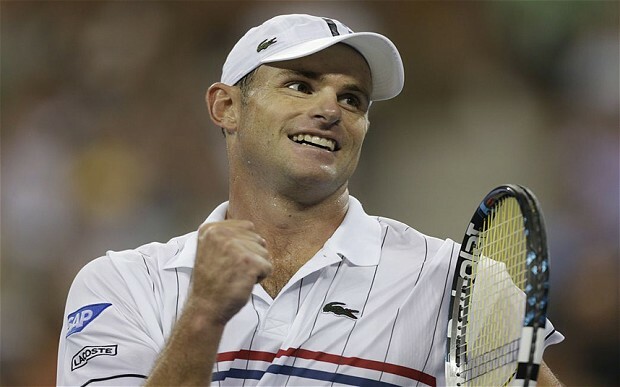 Check out some of the top moments of Roddick’s career here.